This is a John Olsen limited edition fine art print titled Broken Egg and Summer Landscape. 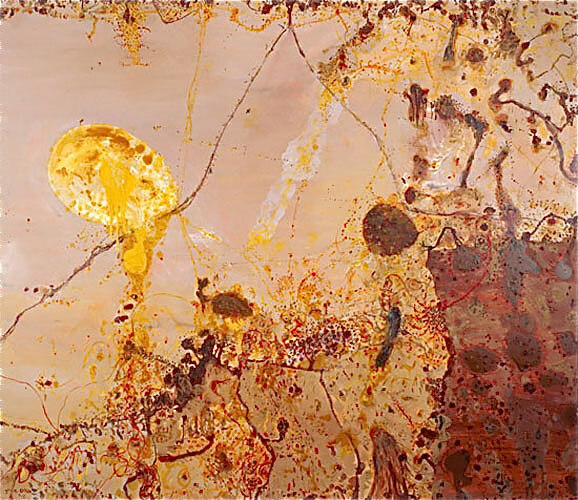 1986-87, Signed and titled by John Olsen, also available in and extra large version of 109.3×124.9cm $3000. The edition size is limited to 99 only, each image comes complete with a certificate of authenticity, it is printed on pure Archer’s water colour paper with the finest quality pigments, the work is Signed and titled by John Olsen. Broken Egg and Summer Landscape 1986-87 is a wonderful strong image based on John Olsen’s original painting 1986 – 1987. Broken Egg and Summer Landscape 1986-1987 available at Etching House framed or unframed, talk to us at Etching House about our wholsale framing of you John Olsen fine artwork.